Annette Scheepstra has a background in social sciences and works as a coordinator of the Arctic Centre, University of Groningen Netherlands. 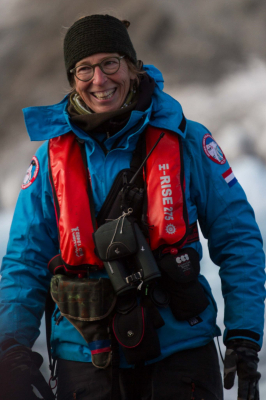 She runs the Dutch polar research network and from 2014-2017 she represented the Netherlands in the sustainable development working group of the Arctic Council. In EU-PolarNet she is responsible for the stakeholder mapping and makes sure that social sciences and humanities are well represented in the project. In the past she has worked as a knowledge broker and she has a lot of experience in outreach activities. Besides her job at the university she also works as an expedition guide in Svalbard.